All you have to do is bring all your items to Adrigole GAA pitch and leave in designated area. 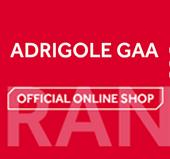 Adrigole GAA would like to thank you for your help and assistance. All Copper, Brass, Aluminium, Lead and Electric cables. Empty food cans, Saucepans, Toasters, Electric cookers, Washing machines, Dishwashers, Sink tops, Radiators, Ironing boards, Food mixers, Solid fuel cookers, Electric knives, Cast iron fireplaces, Bicycles, Go carts, Trampolines, Swing frames, Goal posts, Steel oil tanks, Coal buckets, Steel coal bunkers, Golf irons, Steel window frames, Boilers, Steel garden furniture, Gas heaters, Gas cookers, Steel gutters, Clothes lines, Sheep wire, Fencing wire, Barrels, Wheel barrows, Gates, Car Doors/Bonnets etc, Wheel Rims, Corrugated iron. Cars, Tractors, Trailers, Hay & Silage bailers, Hay turners, Mowing machines, Ploughs, transport boxes, Toppers, Agitators, Slurry tank gates, Ring feeders , Diggers, railway lines, Cement mixers, Dozers, Combine harvesters, Binders, Horse machinery, Water pumps, Electric motors, Engine parts, Milk cans/buckets, Milking machines, Milk coolers, and Car/tractor/lorry batteries. TV’s, Fridges, Beer kegs, Gas bottles, Loose Tyres.